* KRIS HALLBOM shows the powerful influence your ‘everyday’ story has – and how a simple change could devastate your limitations! 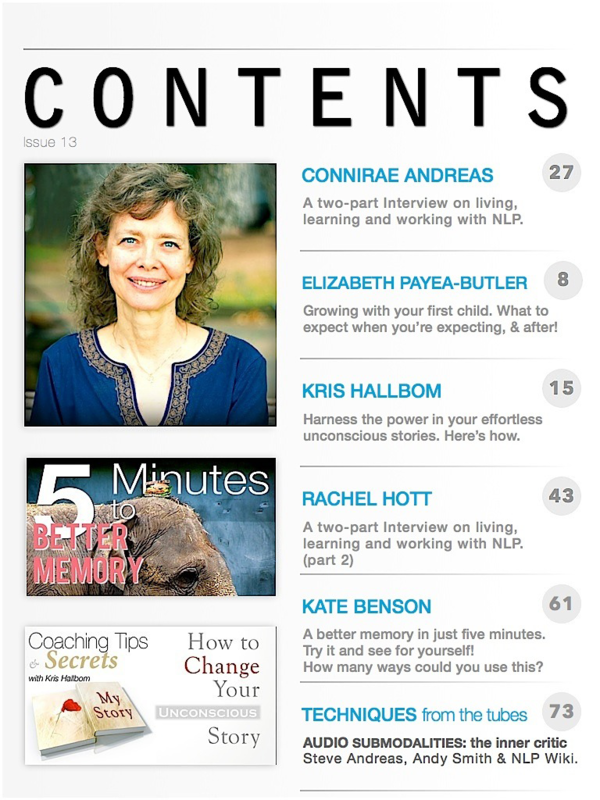 * KATE BENSON steps you through a real-world authentic way to build better memory in just 5 minutes! – And it’s a party-stopper! Check it out and amaze your friends! 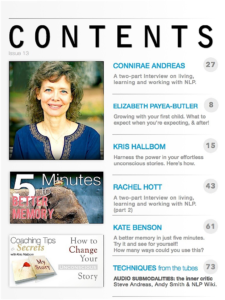 * RACHEL HOTT – (Interview) Part Two of living, learning and working with NLP in New York..
* ELIZABETH PAYEA-BUTLER realises that family time is precious. So when your children seem to be growing so fast, she asks the question -Are you growing with them? Check out her valuable tips for growing happily together. * ANDY SMITH, STEVE ANDREAS, and the NLPwiki again share the highlights and details on yet another sensory treasure trove – how to HARNESS THE MASSIVE MENTAL POWER of that VOICE IN YOUR HEAD. Yep, that sometimes pesky voice has all you need to turn the lights on and get making progress with whatever desires you have at heart. Yet another aspect of NLP that should be in every school classroom. 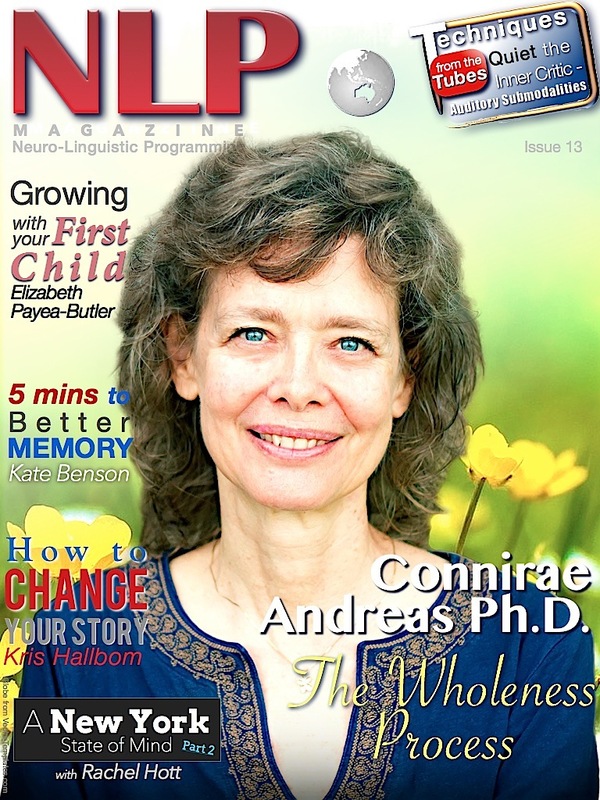 Your Convenient Expose` on the World Of Neuro-linguistic Programming. on Apple or Android devices now. This entry was posted in Magazine Editions and tagged Andy Smith, Connirae Andreas, David Gordon, Elizabeth Payea-butler, Joost van der Leij, Kris Hallbom, Lynn Timpany, Meta-NLP, NLP for kids, NLP Magazine, NLP new york, NLP science, NLP Training, NLPCA, NLPU, Rachel Hott, Steve Andreas. Bookmark the permalink.